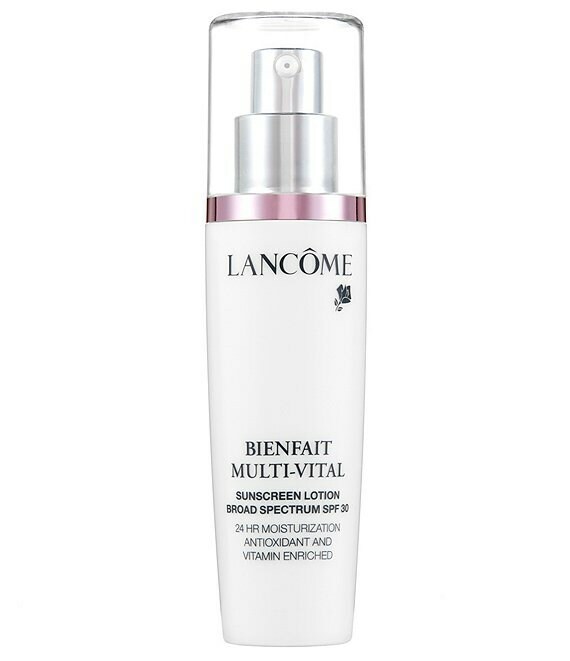 The ideal combination of Vitamin-enriched hydration and comprehensive protection, Bienfait Multi-Vital features a unique complex of nurturing Vitamins E, CG and B5, plus high potency moisturization for 24-hour ideal hydration. UVA/UVB SPF 30 Sunscreen and essential antioxidant protection give skin what it needs to help fight the visible effects of environmental skin damage. Skin is intensely hydrated, looks its healthy best, and feels touchably soft all day. See more even skin tone and brighter radiance.